This post contains affiliate links, which means I’ll make a small commission if you purchase through one of my links. Thank you for your support! This recipe is in no way affiliated with Starbucks. 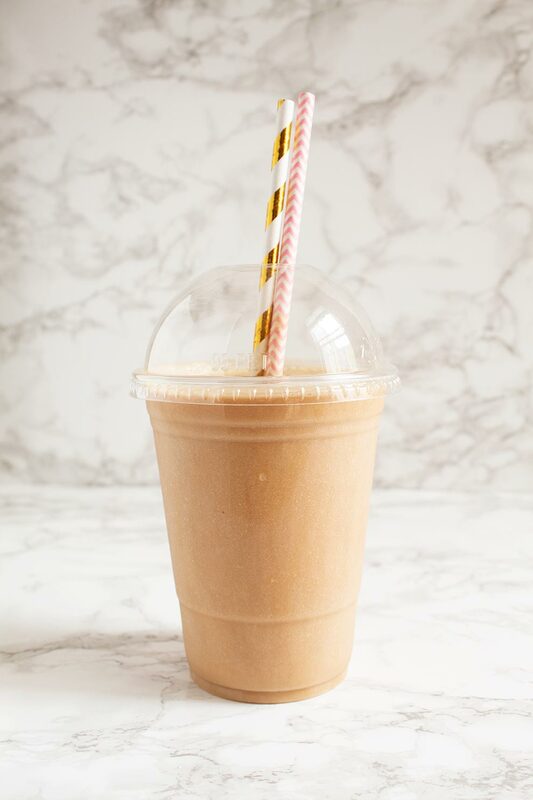 This is a SERIOUSLY good keto Frappuccino copycat recipe. Good as in “I want to make this every morning for the rest of my life” good. The sweet salted caramel flavor is the star of the show, but just enough coffee flavor peeks through to remind you that you will soon be enjoying the blissful, energy-inducing effects of coffee. 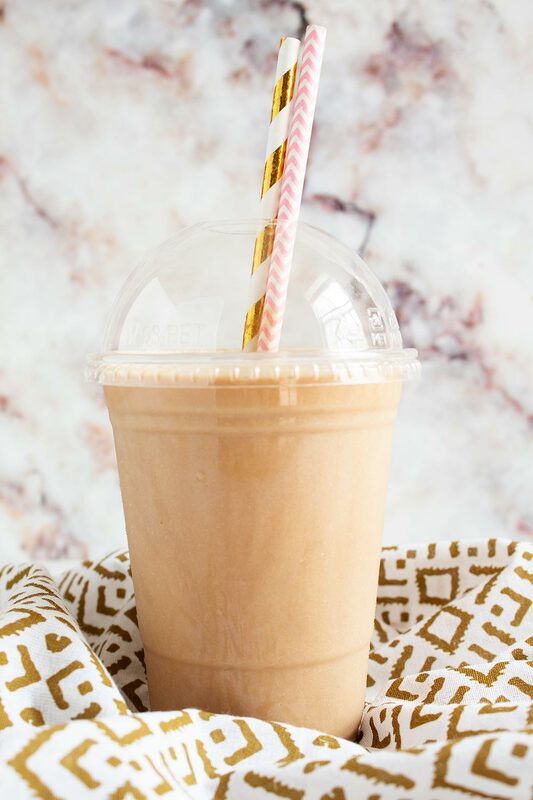 If you frequently purchased Frappuccinos from Starbucks in your pre-keto life, you’ll be happy to know that this keto copycat version is not like many of the Frappuccino copycats out there. I initially tried creating this recipe based on the standard recipe variations I saw floating around the internet, and I was not happy at all. Even with my high-powered Vitamix blender, I ended up with a blended liquid and some not-so-tasty ice slush. 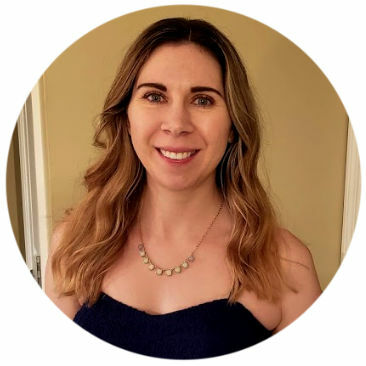 Thankfully, I stumbled upon a post by a former Starbucks employee. She said the secret to making a Starbucks-worthy Frappuccino at home is xanthan gum. 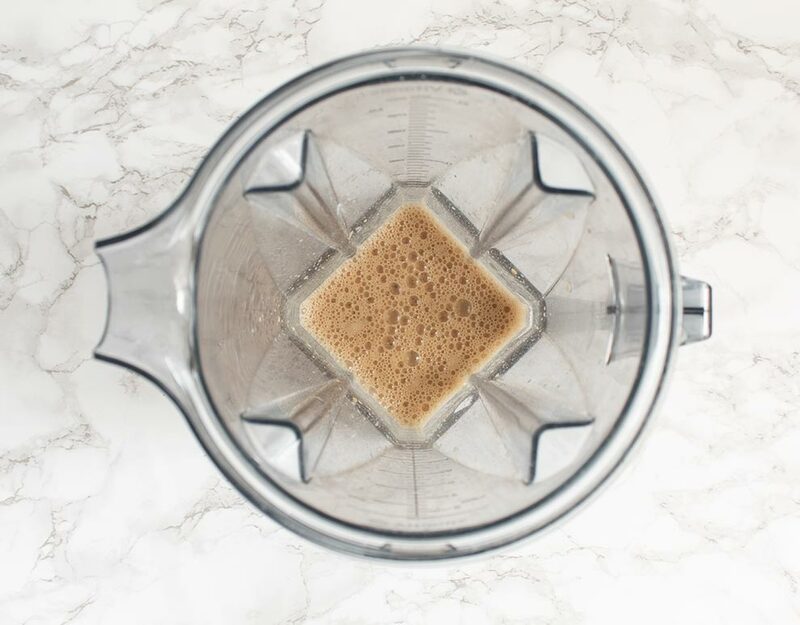 I am a huge fan of xanthan gum (it is net carb-free and is perfect for thickening smoothies and sauces) so it was a total “a-ha!” moment when I read about it. As soon as I added xanthan gum to the mix, the perfect keto Frappuccino was born! 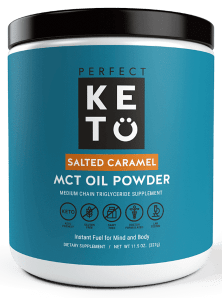 Perfect Keto Salted Caramel MCT Oil Powder: This stuff is SO good, contains valuable MCTs, and tastes like you’re eating dessert! It delivers the perfect salted caramel flavor to drinks and desserts. If you love salted caramel, you’ll also want to check out their Salted Caramel Keto Bars! Unsweetened vanilla almond milk — it has to be vanilla! I’ve tried this with regular almond milk (both plain and with added vanilla extract), and I simply could not replicate the exact flavor. Add all ingredients except ice to a blender and blend. 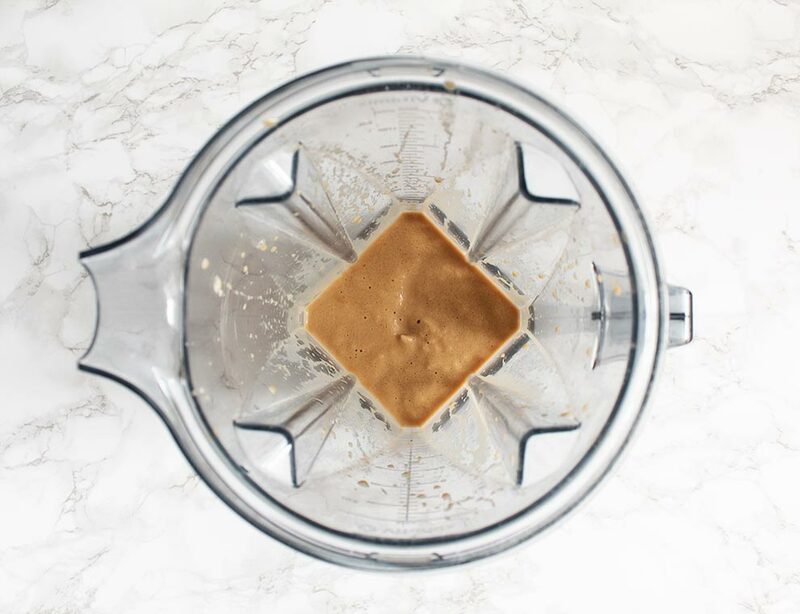 Then blend again until everything is thoroughly blended. Yum, right?! Pour into a glass, serve, and enjoy! What Should I Use for Strongly Brewed Coffee? 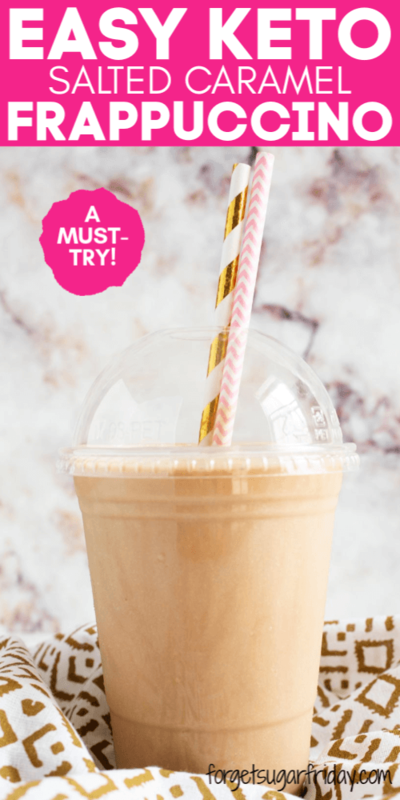 What’s Missing from this Keto Frappuccino Copycat? The easiest method: look for canned whipped cream at the store that emphasizes “real cream” or “natural ingredients.” I often use Kroger Extra Creamy Dairy Whipped Topping with Real Cream with 1g net carbs per 2 tbsp. 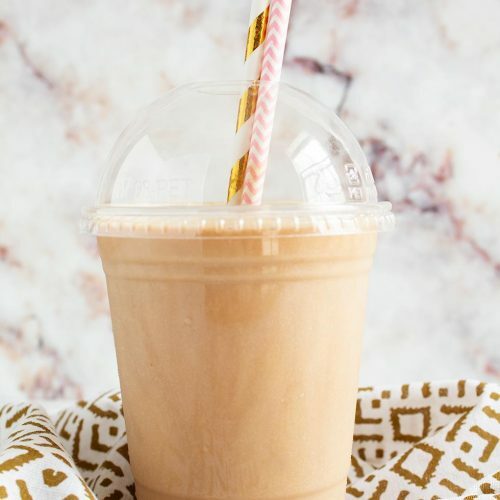 How Do I Make a Keto Frappuccino Copycat if I Don’t Have Salted Caramel MCT Oil Powder? If you want a salted caramel Frappuccino, this is the only way. I haven’t found anything nearly as good as Perfect Keto’s Salted Caramel MCT Oil Powder for infusing the perfect salted caramel flavor into any drink or dessert. If you have another Perfect Keto MCT Oil Powder flavor, like vanilla or chocolate, you can substitute that 1:1 for the salted caramel flavor. If you don’t have any Perfect Keto MCT Oil Powder, omit it and add an extra 1 tbsp of Swerve Confectioners (since the MCT oil powder is sweetened). Serve as-is, or flavor as desired with the extract of your choice (to taste). 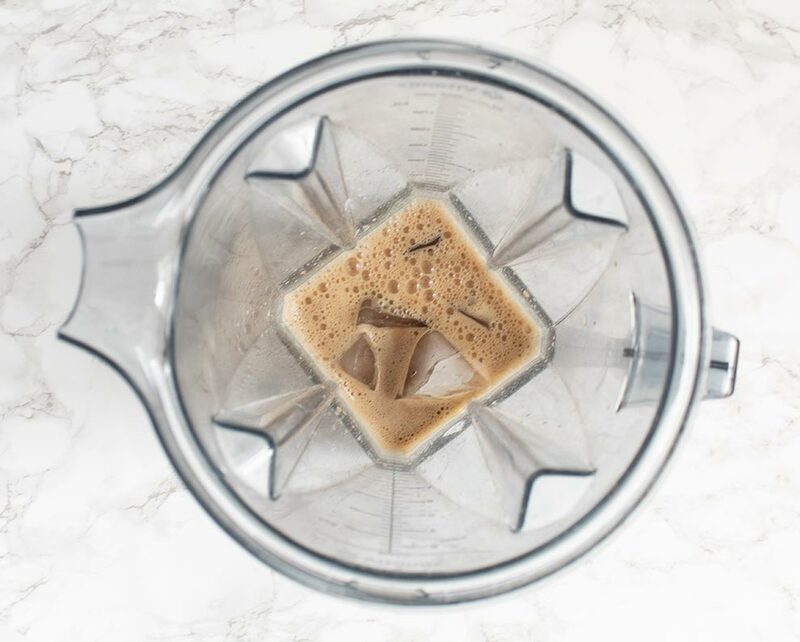 Keto Crack Coffee recipe: my “Pinterest famous” keto coffee recipe! 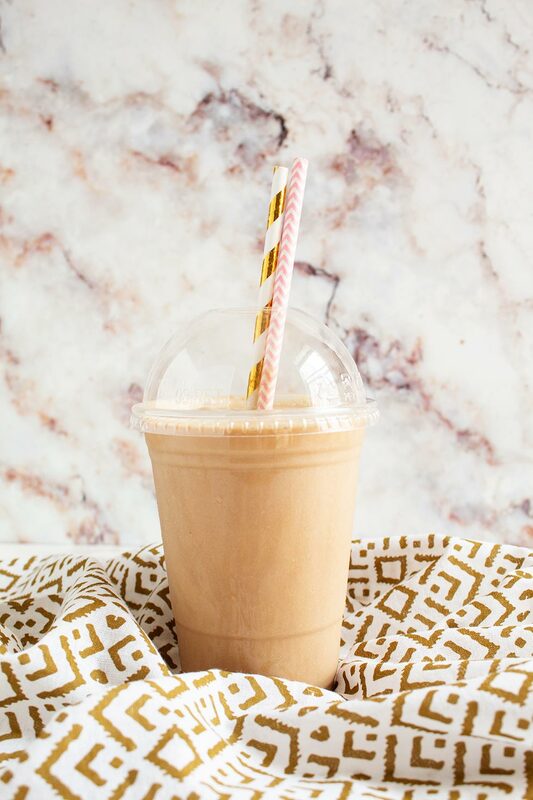 I hope you love making keto Frappuccinos! If you liked this post, I would so appreciate you giving it a share by using the social sharing icons. THANK YOU! Add all ingredients except for ice to a blender and blend. Add ice and blend again until ice is thoroughly incorporated. I used Blue Diamond unsweetened vanilla almond milk. How Much Sugar Should Kids Eat?